We provide the best solution to customers. 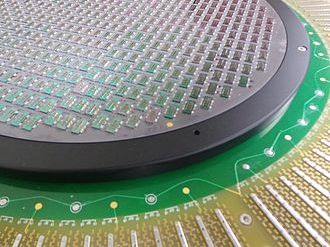 GigaLane is ready to introduce its unique test solutions for semiconductor & OLED panel and has been developing a test solution for 3DIC that is coming in the very near future. Probe Card is a tester that examines defects on semiconductor by contacting chips on wafer. 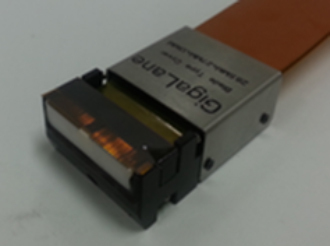 GigaLane developed differentiated probe card from competitiors based on technology of high-speed RF processing, micromachine manu-facturing, TSV and RDL interconnecting by utilizing DRIE etcher capability. GigaLane’s probe card secured competitive edge comparing to its competitors in delivery time and cost. Probe Unit is a tester that examines defects on display panel by contacting each pixels. GigaLane’s Probe Unit is suitable for high resolution display panel and it can test finer pitch with improved durability than other manufacturer’s by applying MEMS process. GigaLane completed development of Probe Unit for OLED panel and started to make revenue since 2014.